There are hundreds of face steamer available in the market and most of us think that this is one of the best steamer for ultimate care of face. 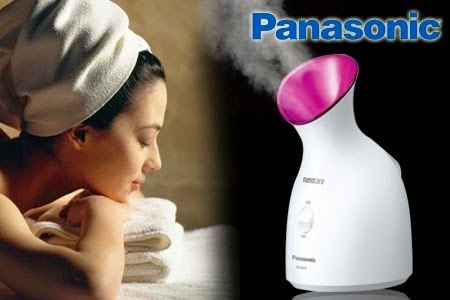 Most of us use to set the facial steamer at 40 degree Celsius. Now we going to discuss the best tips of using facial steamer. 1. Before using it check the water temperature. Make sure that water temperature should not be more 45 degree Celsius. If the temperature is high than it can damage your skin with dark spot and burn spots. 2. Don't get too close to the hot steam. Maintain some distance of 12 to 18 inches. 3. Before use it, read the manual carefully. This helps you to understand the machine in perfect way and also helps you to enjoy ultimate glowing skin. 4. Wash you face with normal water then start using facial steamer. 5. You can use it for 5-10 minutes on weekly basis. This can enhance the your beauty. 6. Use Moisturizer after using face steamer. This keep face hydrated and glowing. 1. It removes all impurity from the face. 2. Open the pores and remove all dust and make it clean and hydrated. 3. This can helps to fade-up dark spots and overcome wrinkles.